We accept PayPal, Credit Card via PayPal, Bank/Internet Deposit, Bank/Personal Cheque for Customer within Australia. For international customers only Paypal is accepted. PayPal, is the safer and faster way to send money, online shopping, you're protected from checkout to delivery, highly recommended if you haven't got one, it is free to set up and easy to operate. Please click here: www.paypal.com to register a account. In most cases, all purchases will be dispatched within 24 hours after payment is cleared(weekend and public holiday excluded). If your item is on back order, you will be informed asap, you can cancel your order at the time or your order will be dispatched as soon as the item is available. Delivery Methods include: Regular Mail, Express Post and Courier delivery. You may make your selection upon check out. Regular Mail: 2 - 7 working days, depending on your location. Express Post: 1 - 3 working days, depending on your location. 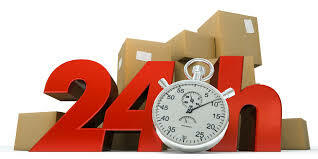 Courier Service: 2 - 6 working days, depending on your location. Regular air mail: 2 - 4 weeks (on rare occasions, international delivery can take up to 8 weeks, depending on your country and custom clearance time). Express Post: 1 - 2 weeks (on rare occasions, international delivery can take up to 4 weeks, depending on your country area and custom clearance time). *Please contact us for Combined International Shipping, The more you purchase the more you save. *International customers,your item should be marked as"GIFT", YOU will be responsible for any import duties, taxes or any other import related costs. *The delivery time is estimated only, if your item has not arrived within the time frame, please check with your local post office or contact us immediately. If you have any queries in relation to the shipping of your orders, special order request or stock availability please email us at sales@collection-me.com or call 61433170177 or simply use the form below to send us your queries, we will respond as quickly as possible.